The brilliant emerald green color of this Bicone makes it perfect for nature-themed jewelry designs. This Swarovski Bicone in Emerald is a beautiful, elegant addition to any design. This beautiful crystal is XILION cut, meaning it's been given 12 brilliantly cut facets to allow it to sparkle brilliantly. Pair this crystal with your favorite pendants to create a stunning necklace, or use it as a focal piece in your next earring design. Add unforgettable sparkle to your designs with this Swarovski cube bead. This modern bead features a cube shape with precision-cut facets for sparkle from every angle. This bead is perfect for creating a playful feel in your designs. Try it in necklaces, bracelets and even earrings. It's sure to add excitement to your style. This bead features a luxuriously rich emerald green color that will pair well with gold or purple. Bring a magical touch to designs with this Swarovski teardrop. This crystal pendant features an elegant and faceted teardrop shape that would look lovely dangling from the center of a necklace design. Use this pendant in necklace or earring designs for a luxurious drop of sparkle. It's sure to catch the eye and light up your looks. This versatile drop features a luxurious deep green color. Rich sparkle fills the Swarovski H2078 SS20 Hotfix XIRIUS rose Flatback in Emerald. The celestial-inspired XIRIUS cut uses an innovative and unique multilayer cut, for a look full of brilliance. 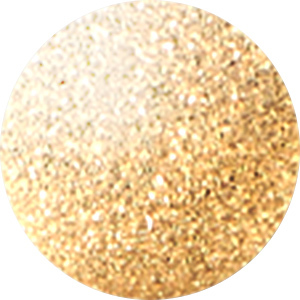 This Flatback will add exceptional sparkle and light refraction to all of your projects. It's perfect for a dazzling display in your designs. Hotfix Flatbacks already have adhesive attached to their backing and are heat activated, so they are easy to add to designs. This Flatback features a deep green sparkle. Lush and luxurious green sparkle fills this Swarovski pendant. This lovely pendant features a simple pear shape and is covered in precise-cut facets that sparkle brilliantly. The teardrop-like shape will add sophistication to any necklace design and the Austrian crystal will glitter like no other. Use it with a bail to ensure your pendant hangs straight and even. Bring a look of luck to your designs with the Swarovski 4785 23mm fancy clover in Emerald. This stone features four hearts that form a charming four-leaf clover. This playful jewelry component is the ultimate symbol of luck turned into a brilliantly sparkling crystal component. The reverse side is pointed, bringing extra depth to this piece. Add an instantly recognizable sign of good fortune to your designs today. Transform this stone into a pendant for bold style. Deep green color fills the crystal. You'll love the luxurious look of this Swarovski crystal faceted round. Displaying a classic round shape and multiple facets, this bead can be added to any project for a burst of sparkle. The simple yet elegant style makes this bead an excellent supply to have on hand, because you can use it nearly anywhere. This bead is versatile in size, so try it in necklaces, bracelets, and earrings. It features a deep and rich green color. Natural shape is in harmony with forest color in this Swarovski Pure Leaf Flatback. This lovely leaf-shaped Flatback features a multi-faceted surface for brilliant shine and intensified color. The simple leaf-shape looks like a widened Marquise cut. Use an adhesive to attach this Flatback to clothing, accessories, scrapbooking pages and more. 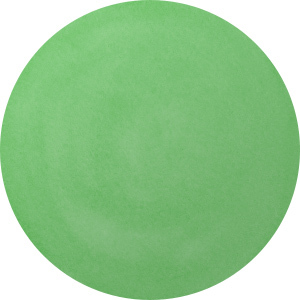 This Flatback features a rich green shade that holds just as much beauty as its namesake. Fall in love with the luxurious look of this Swarovski crystal faceted round. Displaying a classic round shape and multiple facets, this bead can be added to any project for a burst of sparkle. The simple yet elegant style makes this bead an excellent supply to have on hand, because you can use it nearly anywhere. This bead is the perfect size for matching necklace and bracelet sets. It features a rich emerald green color. Luxurious emerald green color fills this Swarovski Rivoli rhinestone. The Rivoli shape resembles the point cut of a diamond with the addition of 16 facets in a circle that meet in the center of the stone. Use this component for embellishment or as a stunning focal. This stone will draw attention to any design. You can seed bead around it, wire wrap it, embed it into epoxy clay, add it to a bezel setting, and more. This Swarovski Rivoli features 16 different facets coming to a point in the center of the rhinestone. Brilliant light-reflection is possible with a foiled backing that blocks light from going through the crystal. The Rivoli shape resembles the point cut of a diamond. Use our high-quality Japanese TOHO seed beads to make a beaded bezel around this Swarovski crystal Rivoli. This crystal features a rich green gleam. Shop settings for 12mm Rivolis here. The brilliance of crystal takes on classic style in the Swarovski 5028 10mm crystal globe bead in Emerald. This bead features a perfectly round, smooth shape, creating an opulent 3D effect. This sleek yet expressive bead complements all looks with its perfect simplicity. It is a magical orb of crystal that will enhance any design. This bold bead makes the perfect showcase piece for necklaces and bracelets. This bead features a dark green color full of elegance and intensity. Diamond-shaped facets elegantly catch the light on this Swarovski mini oval bead in Emerald. The clean lines and geometric facets on this small oval bead celebrate the clean and architectural lines found in big cities. 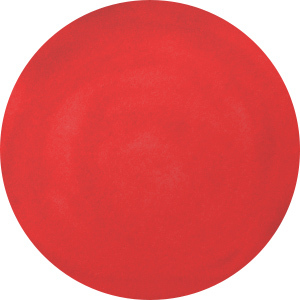 Use this bead to add a touch of fun color to your jewelry designs. The sparkling facets are sure to add lovely accents to any necklace or bracelet design. This bead displays a rich emerald green color that is sure to dazzle. This 8mm Swarovski XILION cut Emerald Bicone is the perfect addition to any beading project. This translucent faceted crystal makes a beautiful addition to any piece of jewelry. Use this great bead as an accent, spacer, or simply string a whole strand for a dazzling effect. However you choose to incorporate this crystal Bicone bead into your jewelry designs, you can rest assured you are getting a high-quality product. Use this crystal when you want to look your very best. The innovative XILION cut features alternating large and small facets. This design creates amazing brilliance and is sure to be a fabulous addition to your beaded designs. Get your designs noticed by using only the best rhinestones. With its rich dark green color and sparkling facets, this Swarovski Flatback in Emerald will give your accessories the perfect touch of color. This lovely glue-on rhinestone features a convex front made up of faceted crystals that meet at a point, all shimmering in a rich emerald color. With every angle of light this Flatback displays a brilliant shine that's sure to get your designs noticed. Its smooth flat back makes gluing simple and ideal for almost any surface. Try adding a personal touch to your accessories with this Flatback and other Swarovski rhinestones in coordinating colors to make it your own. You'll love the elegant and luxurious look of this emerald green Swarovski briolette pendant. This teardrop-shaped pendant is crafted with multiple diamond-shaped facets for brilliant sparkle. With its top-drilled stringing hole, this piece is great for dangling from designs. Dangle this pendant from necklaces and earrings for sophisticated style. This Swarovski Rivoli is perfect for unique beading ideas such as a beaded bezel for a necklace, bracelet, or ring. This generously faceted rhinestone has 16 facets front and back that come to a point in the center of the component. The back of this Rivoli is foiled to ensure maximum light reflection. The light reflection is so gorgeous on this Swarovski Rivoli. Use our high-quality Japanese TOHO seed beads to make a beaded bezel around this Swarovski crystal Rivoli. This crystal gleams with emerald green color. Shop settings for 14mm Rivolis here. This gorgeous channel-set link is rhodium-plated and set with a genuine Swarovski crystal. Use this link to make your earrings, necklaces, and bracelets sparkle. It features a loop on each end, so it's easy to add to designs. Dangle it for a fun look or try it as a connection point in jewelry strands. The crystal features a rich and luxurious green color. Add fascinating sparkle to all of your projects with the Swarovski 57700 6mm rhodium-plated channel drop Emerald factory pack. These drops feature a dazzling crystal encircled by a plated setting, for a professional and stylish look everyone will love. A small loop is located at the top of the drop, so you can easily add them to necklaces, bracelets and more. The crystal features a deep green color, while the setting is silver in color. This sealed factory-direct pack includes 48 pieces. Rich beauty fills this Swarovski Baroque bead. The Baroque bead pays homage to the grandeur and beauty of history in radiant crystal detailing. With its flat pear multi-curved outer shape, you can blend it into luxurious bead strands or create floral and ray-shaped sew-on patterns. Light, airy, and flat, this bead adds little additional weight to any finished product. It features increased brilliance through the multilayer cut with detailed facets on the side. This bead features luxurious green color.